... and enjoy our promotion! You don’t have time now for a call ? 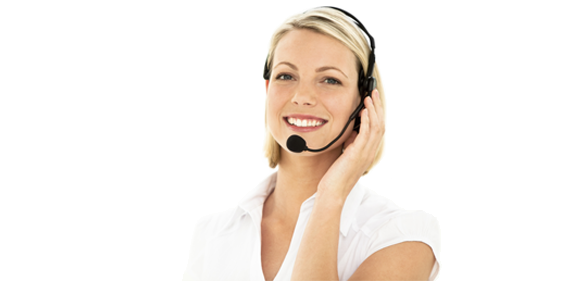 No problem, we will call you whenever you are available! 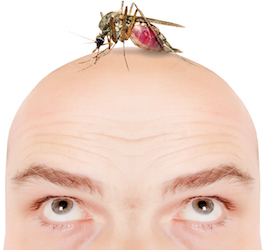 and say goodbye to pests! Appearance: The gray squirrel is a very common mammal whose coat can be of two colors, gray and black. In winter, the squirrel’s fur is thicker and longer and the color can vary according to the season. 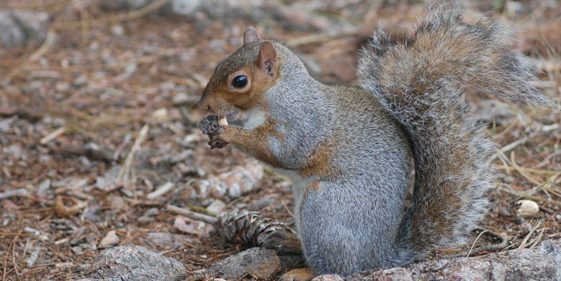 Habits: Several clues can detect the presence of gray squirrels in the area such as husks and shells of acorns and walnuts on the ground under the trees where squirrels ate. 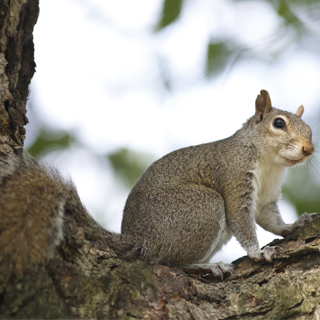 The gray squirrel spends most of its time in trees, where it moves with great agility. Gray squirrels do not hibernate in winter, but they nevertheless restrict their output outside that during warm, sunny days of winter. Quite interestingly, if necessary, the gray squirrel will lose a piece of tail vertebrae to escape a predator, and it is not uncommon to see a gray squirrel with a tail end less. Longevity is 10-13 years. Nourishment: His diet varies seasonally. He eats the buds of several hardwood species, including maple, early spring. During the summer it is mainly maple and elm samaras and a variety of berries and other wild fruits, seeds, fruit husk and apples. In the fall, he buries hundreds of nuts and seeds for the winter. The gray squirrel is not averse to bird feeders and often feeds them throughout the winter. They also eat insects, caterpillars, and occasionally eggs and chicks still in the nest. Reproduction : The species has two breeding seasons per year, the first in January and February and the second in June and July. Each breeding season lasts about three weeks. Generally, only females over two years are sexually active during both periods. Gestation lasts 40 to 44 days and has a reach an average of 3 children. Newborns are born naked and blind. They grow rapidly; after 4 weeks, their coat is complete and their tail is well. At the age of 8 weeks the young squirrels are venturing around the nest. Do not wait to be infested! For the extermination of gray squirrel, call Groupe AZ Extermination. His professional inspection is free, effective and very fast.